Come and experience the JOY of Panama City Beach! 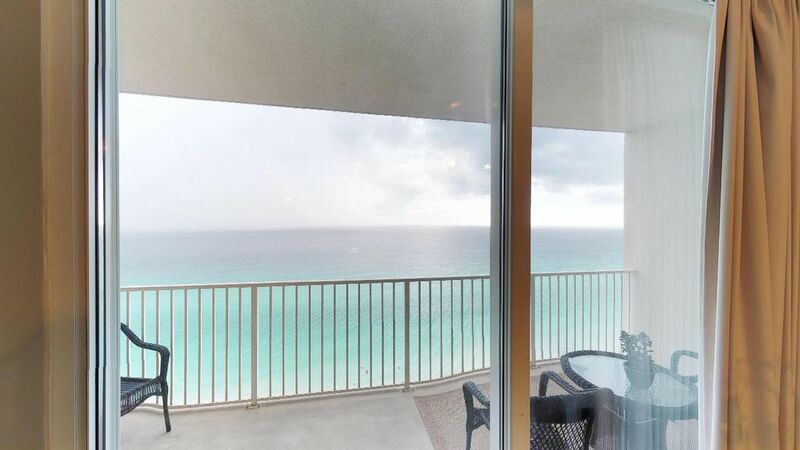 Tidewater Resort is a first class resort on the world's most beautiful beaches, the only resort that is 31 stories tall on the Florida panhandle, the view from the lounge on the top floor is unforgettable. Tidewater is a first class resort and yes we are on the beach not just a beach view! Be one of the first to enjoy this luxury condo book your week today! Panama City Beach has become the premier vacation destination for the entire Florida Panhandle and surrounding states with the airport finished in 2009. We are ready. Bring all your friends and family down with you. We have 4 units on the 12th floor alone! What a great location less than a mile from Back Beach Rd and Frank Brown Park giving you easy access to all of PC Beach from Thomas Dr. to the East or West to Sea Crest Beach and Rosemary's Beach on 30A. Please don’t forget the Ebro Dog Track with simulcast wagering on the nation’s top horse tracks and the brand new 22 table Poker Room. All this just 15 minutes away and for those who like Texas Hold'em, Stud or Omaha there is always a game waiting for you. Make your reservation TODAY. We are looking forward to meeting you soon! Tidewater met my expectations & four star was very accommodating when I needed anything The only complaint would be the elevator wait. Just how I imagined. Exactly as described. Very beautiful condo, the room was awesome and so was the location! The only thing was that the elevators took a while to get to our floor but other than that we had an awesome vacation and a awesome stay!! Good value for the money. Location in PCB and beach are great. Please consider updating the master and and pull-out mattresses. They are in bad shape. Also, the kitchen needs a few more basic items, like a potholder or two and plastic drink ware. The A/C wasn’t working but 4Star had us reset with no problems. The ice maker needs attention. No elevator issues or Tidewater complaints.